Our adoption program helps to find new homes for rehabilitated injured strays. We take great pride in helping these dogs and cats find loving homes once they have been treated and are ready to go to their new families. Please call the clinic for adoptable pets. 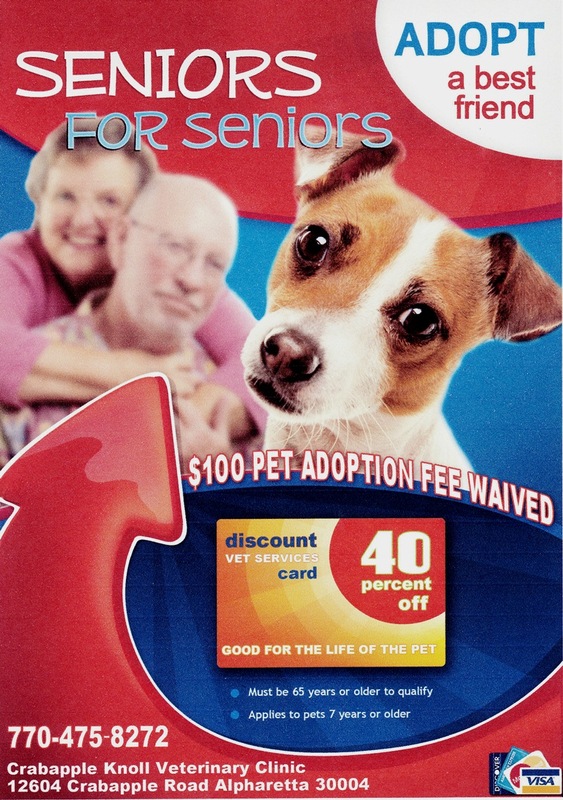 Program helps make it possible for seniors to adopt a pet and makes future medical care affordable so they can enjoy the companionship of a loving pet. To see all of our pets for adoption see our Facebook page or our Petfinder page.